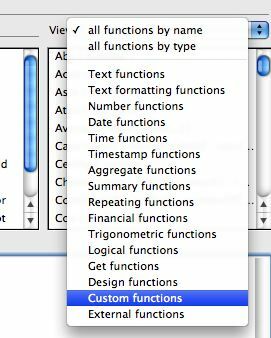 Custom functions provide a method to store complex calculations that you use time and time again within a FileMaker file. You will need to be using FileMaker Advanced, to transform a calculation into its own custom function. After a custom function has been created, they can be excuted within the calculation engine within FileMaker (both standard and advanced versions), in most web published settings or even in a runtime version of the file. The custom function you create will be accessible only in the file it was created in. If you need to use a custom function in multiple FileMaker files, you will need to create it within each file. 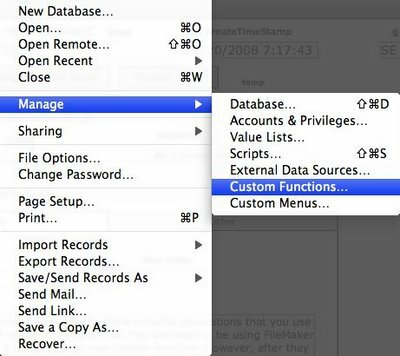 Here you can see the manage custom function feature in FileMaker Advanced. Here you can see the option to choose the family of custom functions in your overall function pick list. 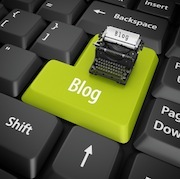 More...Dwayne Wright PMP, PMI-ACP, CSM - FileMaker Thoughts - Introduction To FileMaker Custom Functions.